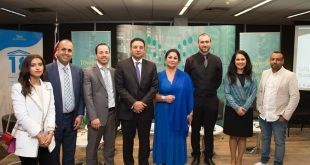 The Saudi Arabian Cultural Mission (SACM) in Australia organized on Friday 9/2/2018 an event honouring Ahmed Almohaimeed who leapt into Yarra River to rescue another man from drowning, in January 2018. 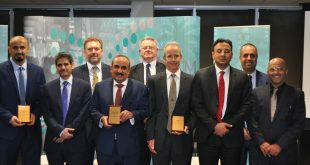 The event was attended by the Saudi Chargé d’Affaires in Australia, Deputy Vice-Chancellor and Vice-President of Monash University, members of diplomatic corps in Canberra, SACM and Saudi Embassy staff, and Australian media professionals. The ceremony ended with a medal, a shield and a certificate of appreciation offered to the hero. 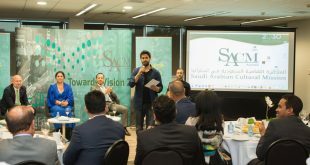 SACM received a number of videos from Saudi citizens congratulating the hero and expressing their pride and admiration for this heroic action, which created a wide and strong echoes within the Saudi and Australian communities, and highlighted the civilization and ethics of Saudi people. Videos from Almohaimeed’s family expressing their pride were also received. 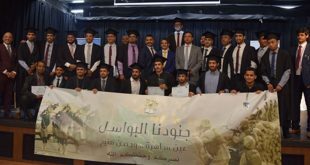 Dr. Nizar Farjou Associate President MENACA (Middle East, North Africa and Central Asia) at Monash University applauded the courage and morale demonstrated by Almohaimeed which reflected the good relations between Saudi and Australian peoples. He also stressed the ongoing cooperation between SACM and Monash University in the research and academic fields, which enhances the cultural and scientific exchange between the two countries. Professor Suzan Elliott Deputy Vice-Chancellor and Vice-President of Monash University participated with a video recording broadcast at the event. She spoke about the serenity of Almohaimeed, a student at Monash University, and praised his courage when he did not hesitate to throw himself in the river to rescue someone he did not know. 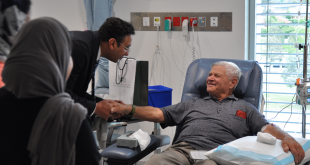 “Ahmed is an ambassador of courage and ethics, whom his country and Monash University are proud of. 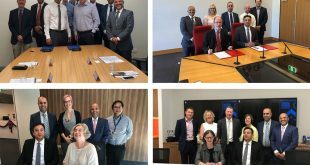 I wish him success in his academic and professional efforts”, said Elliott. 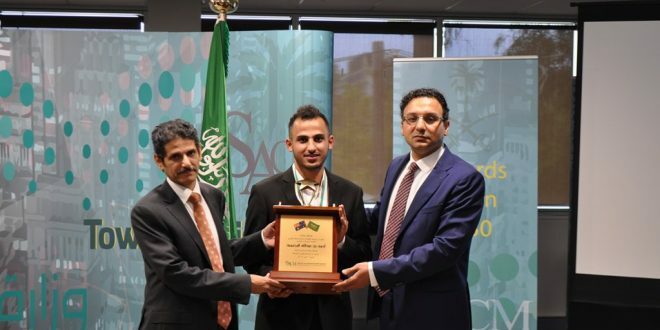 The Saudi Cultural Attaché to Australia Dr. Hesham Khadawardi said that Almohaimeed’s bravery received great attention of the Australian media and highlighted to the Australian community the depth of the Saudi civilization and culture. Dr. Hesham thanked the guests and wished Almohaimeed success in his current and future endeavours. Almohaimeed expressed his thanks to the Custodian of the Two Holy Mosques, his Crown Prince, and praised the support he received from SACM since the incident until this honouring event. He also thanked his family and the Saudi people in general for their congratulations and reassurance.